During Moorhead’s second snow removal declaration, more than 70 cars were towed from the blue snow district. 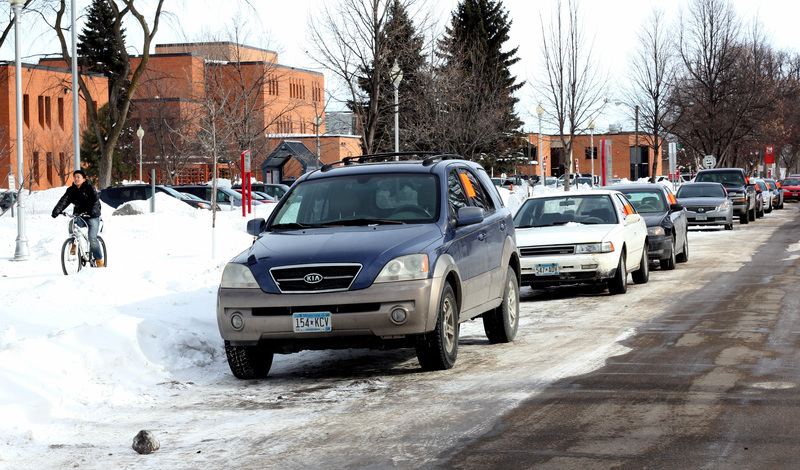 MSUM administration offered its apologies, along with reimbursements, after 42 cars were towed during snow removal Thursday. Following Moorhead’s first snow removal declaration Feb. 6-7, MSUM administrators made a commitment to share snow removal information several ways: on the home page of the website, through social media outlets, through e2campus text messages and through the official student listserv. “That was a commitment we made and fully intended to carry out,” said David Wahlberg, executive director of marketing and communications. Although the information was distributed on the home page, social media outlets, and e2campus, technical difficulties stopped the email from being sent. Due to the email not being sent, MSUM is offering students whose vehicles were towed on Thursday, Feb. 21 the opportunity to be reimbursed for their towing fees. “As we expect students to be responsible, we felt we needed to be responsible for our actions,” Wahlberg said. Sustainability junior Natalie Jacobs has already submitted her form for reimbursement, taking advantage of the offer. Jacobs’ car was towed from Ninth Avenue during her 3 p.m. class. Jacobs isn’t signed up for e2campus text alerts, but said she would have seen the email had it been sent on time. “I don’t blame anyone, but it was a major inconvenience to me,” she said. Any student whose car was towed on Thursday can send a request to msumimpound@ mnstate.edu and bring the receipt from the city into the business office in order to get reimbursed for the towing fees.